Every nut and bolt is now brand new and with everything now Polybushed we turned our attention to the choice of engine and gearbox, unfortunately, Essex V6's are very expensive to tune (this whole car will probably cost less than a race built engine from Rick Wood) and become extremely unreliable even when producing moderate amounts of power let alone the amount they weigh and the fact that in that state of tune they are undrivable on the road. Initially we looked at the Jaguar V6 but we could not find any proven and widely available tuning options and with only 250bhp it fell a little shy of what we wanted. 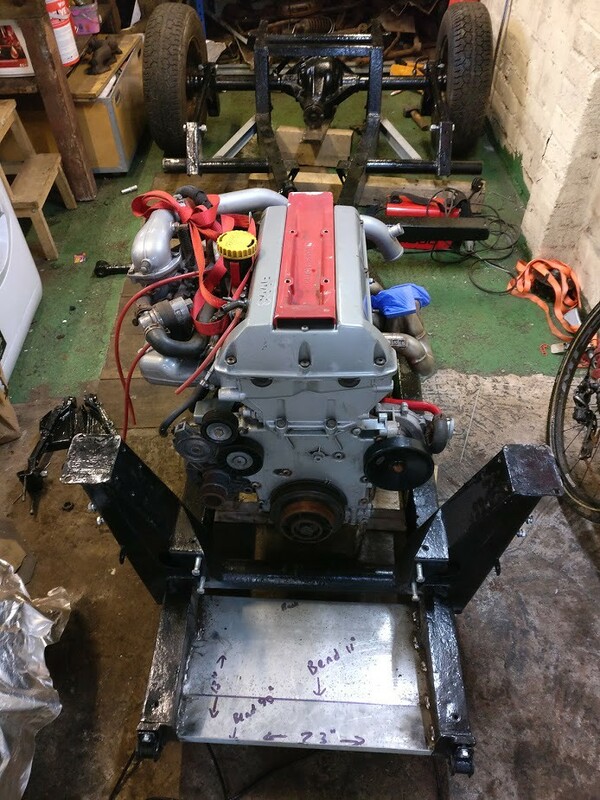 a few people had already fitted SAAB B204 engines to Scimitars and with huge tuning potential (500bhp on standard internals) and some big power builds reaching 8-900bhp we decided to go with that. 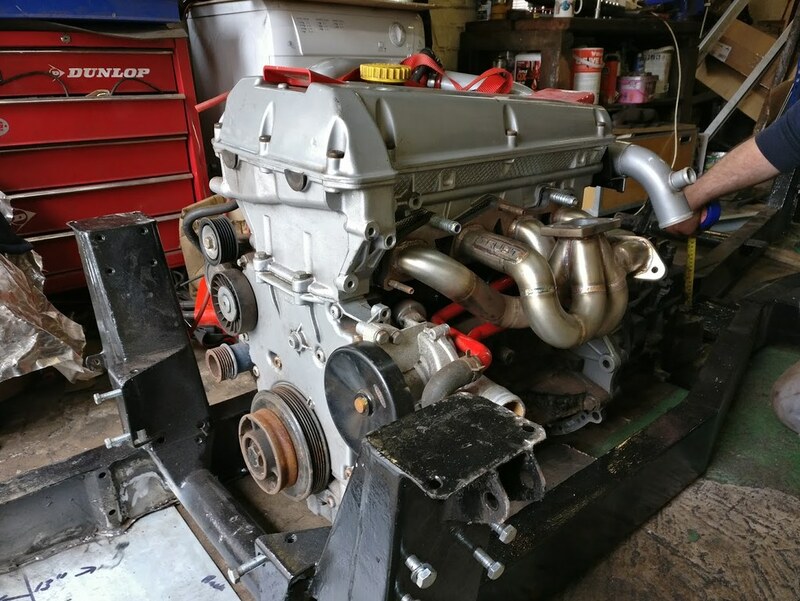 engines and parts are extremely cheap starting from £150, they are robust and reliable, the only downside being the lack of a V6 grumble but with the weight savings and huge power, we can live without the noise. 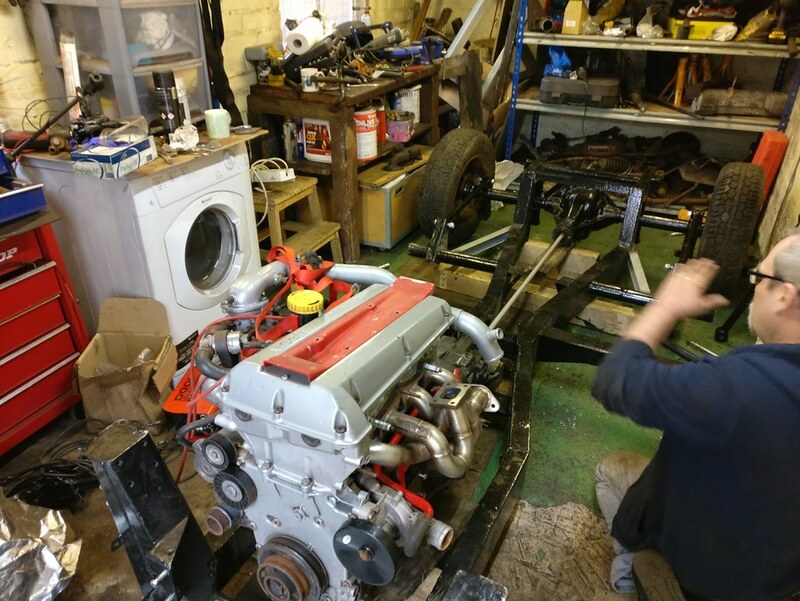 The other benefit is that being a 4 cylinder they are very compact so fits nicely in the scimitar engine bay and the ECU's are really easy to work with along with huge amounts of conversion knowledge widely available.... you get the point. 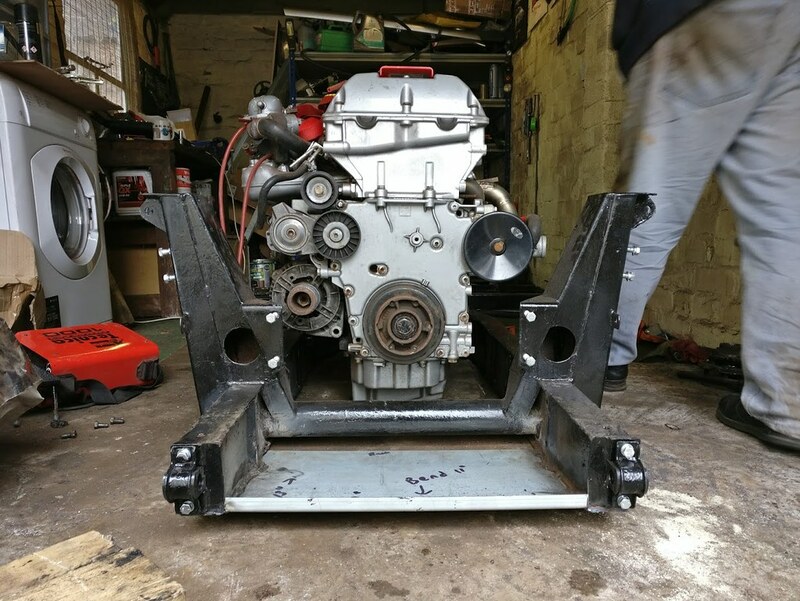 in terms of gearboxes the standard choice is Vauxhall Omega but given the power output we are aiming for we took the advice of several SAAB conversion guys and went with an E36 M3 gearbox, these are known to be bullet proof and whilst they do need modifying to fit it should last. 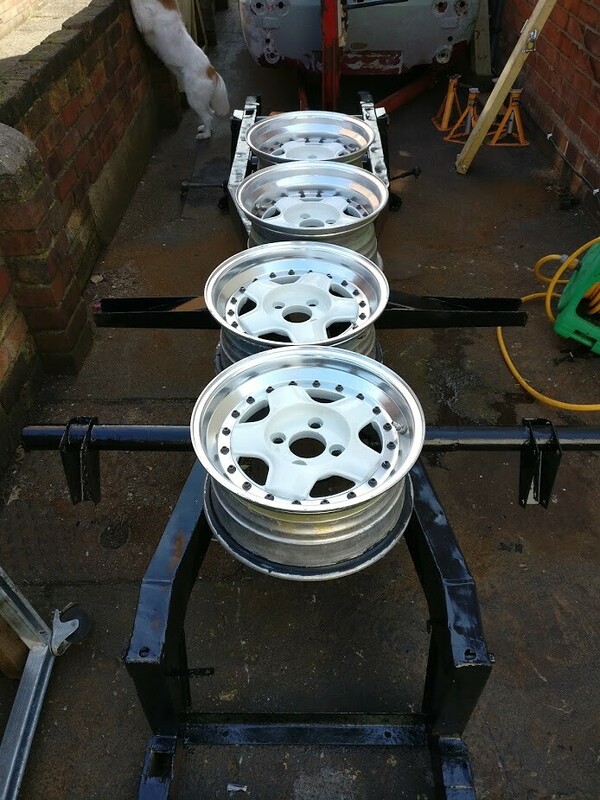 we got lucky and bought one directly from an M3 specialist that he had already converted for use with the SAAB engine. Last edited by Dcrosby13 on Mon Apr 16, 2018 8:32 pm, edited 5 times in total. 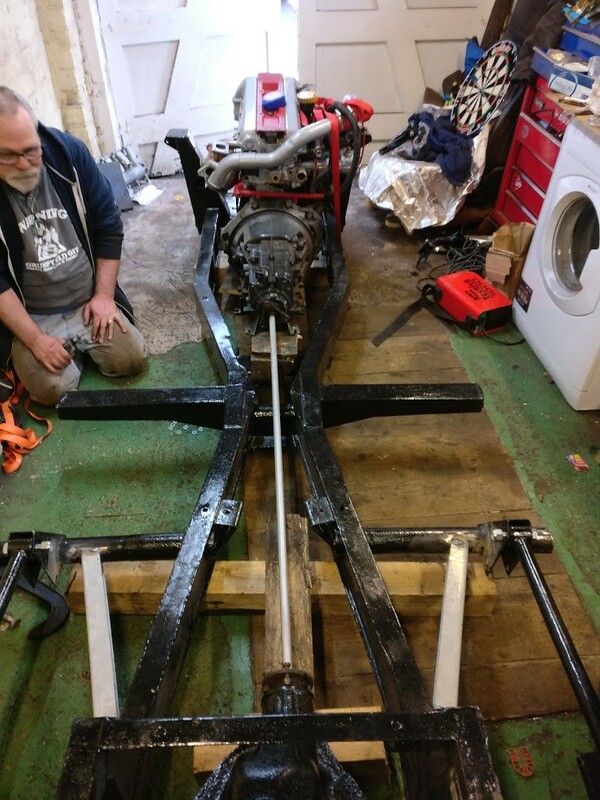 Next jobs on the list are to measure up properly and create engine/ gearbox mounts, build the chassis back up with suspension and wishbones, fit the ouriggers and roll it under the body for the next phase of mods. Obviously this is going to include chopping away some of the fiberglass from the rear aches and maybe even the boot floor. Last edited by Dcrosby13 on Tue Apr 17, 2018 2:55 pm, edited 1 time in total. I like the sound o' this un! I'll be following yer efforts! Ps yer don't need the washin' machine t' clean up yer emissions! Best o' luck, Crusty. Fascinating project, well done so far! The SAAB engine is a great choice. 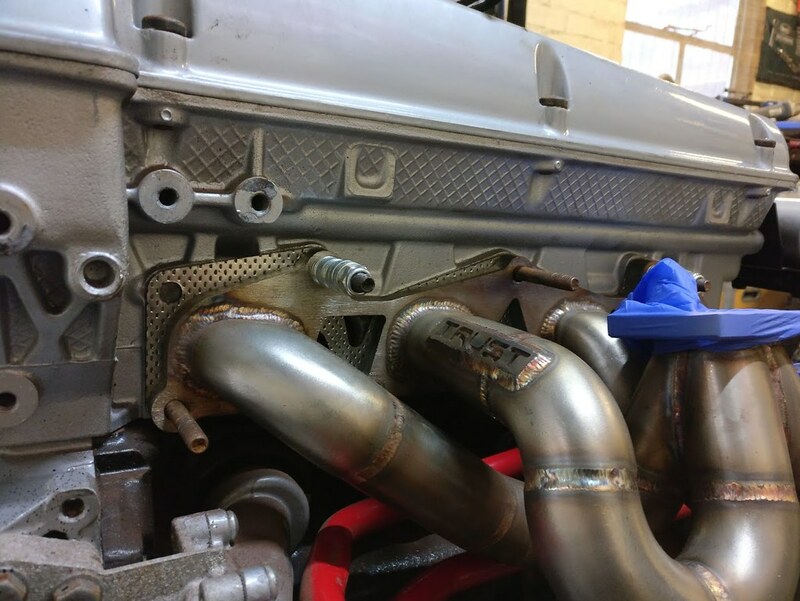 I had a SAAB 9-5 Aero HOT with the B235R engine, 250BHP as standard and absolute reliability. They can be prone to sludge in the sump but it's easily checked. Is yours a B204 or B234? Red top suggests Trionic-5. They're the strongest of the bunch. 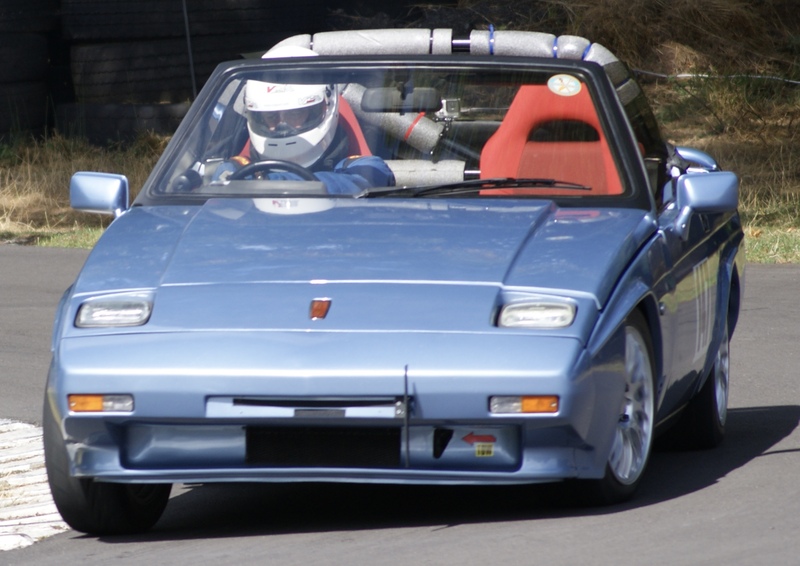 I must admit I never thought of adapting an SE5 chassis when I needed a new one for my Coupe. It would have made fitiing the 4HA and GTE front suspension a lot easier .... after the initial hard work in shortening it. I think it was deliberately a Tronic 5 for easy flashability, so should be a B2x4 and the pick of the bunch. 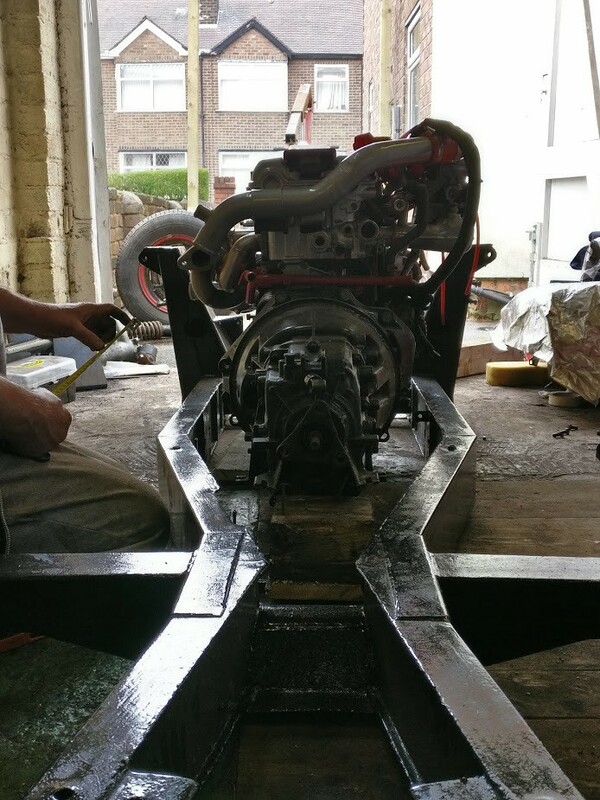 Thanks guys, surprisingly the chassis does not look as if it needs to be modified a possible exception being the very end of the boot area, even the standard outrigger width is fine.